As the second round of the 2018 WSK Final Cup is getting underway in Castelletto Di Branduzzo, we asked some of the current leaders following Lonato’s first race to give us their thoughts ahead of what could already be a decisive turn in the title’s quest for each of the four classes involved (60 Mini, OK, OKJ, KZ2). 201,Travisanutto Lorenzo(ITA),Kr motor sport(KART-REPUBLIC/PARILLA/), Lonato, 21 October 2018. WSK Final Cup, © 2018, Alexandros Vernardis / The RaceBox. How would you reflect on your performance of the first round? The first round in Lonato was important for me to confirm the performances shown at the World Championship in Sweden, so the expectations were high but I think we met them. Having such title in my pocket gives me the sort of confidence to approach a weekend more calmly and we did an excellent job in Lonato, winning every race with the fastest lap and leading every lap, so I can’t really ask for a better weekend! What are your expectations for this weekend’s race in Castelletto? Castelletto should be a good track for us. Last year, we had a team 1-2 finish here with Tom Joyner. Maybe it’s not my favourite track where I can really make a lot of difference, but still, I won a few races here over the past couple of years and I believe the material will still be the one to beat this weekend. Now, we have a little margin in the championship which gives us a bit of calm to approach the weekend and we need to consider the competition first, but our target is still the victory. How would you rate the level of racing in this year’s Final Cup? An impressive weekend from you at Lonato. Do you think such a momentum can be kept on the 7 Laghi circuit? Lonato’s round was indeed very good, we had strong qualifying and heat results all throughout the weekend. 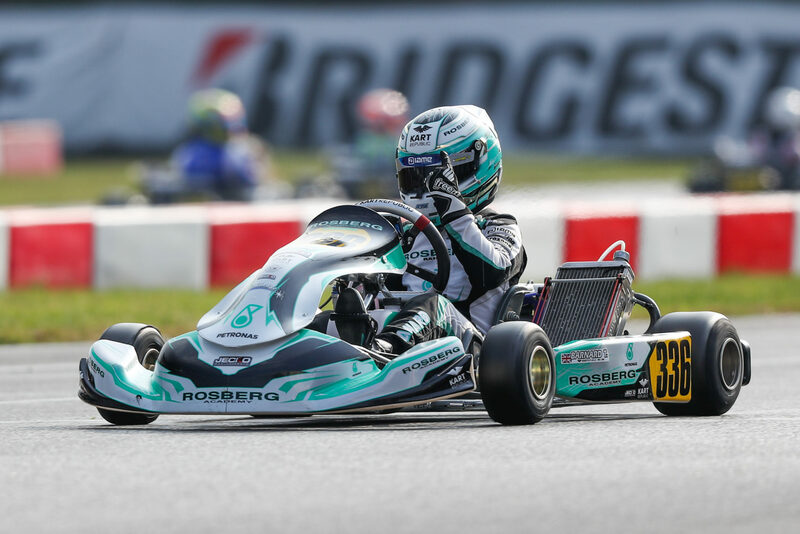 With a Prefinal win and the pole position for the Final in the pocket, I was feeling pretty confident that I could go for the win, especially with a kart set-up that was very good. Concerning Castelletto, I tested here last weekend, it was my first time at the track, by the way! The weather conditions looked similar to what we have for this weekend of competition. It’s very changing, going from wet to dry all the time. That means getting the set-up right is going to be really important if we want to play a part for the win. As Lonato’s victorious man Bas Lammers won’t be making the trip to Castelletto to build upon his win in the KZ2 category (like his main contenders Marco Ardigo, Matteo Vigano or Simo Puhakka), we chose to give the floor to the 2018 European Champion whose appearance this weekend will be his first in this year’s WSK Final Cup. Castelletto will be your first taste of the 2018 Final Cup. What can we expect from you and CPB Sport? 305, Renaudin, Adrien(FRA), CPB Sport(Sodi/TM Racing/LeCont), Salbris, 6 May 2018. FIA European Karting Championship, © 2018, Alexandros Vernardis / The RaceBox. 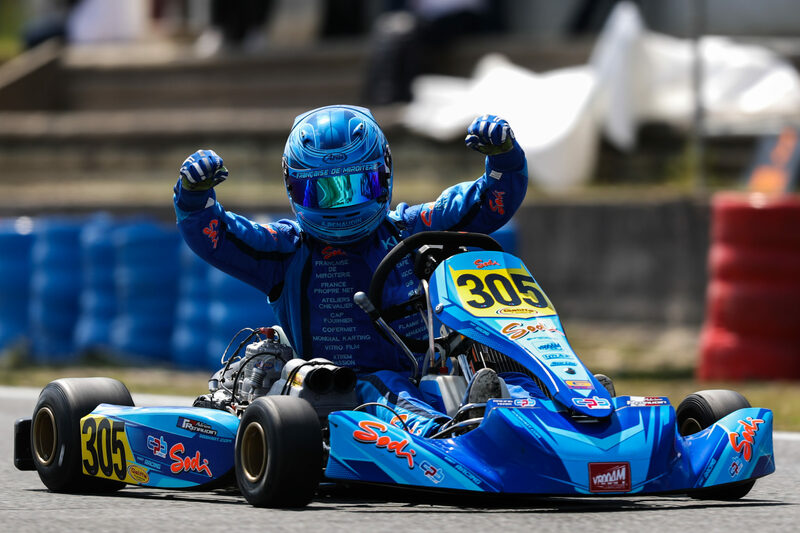 You’ve recently made the headlines by joining the official Sodi Kart Racing Team for 2019. How does that make you feel? This is truly an exceptional opportunity for me to become a factory driver. I’ll keep working hard to make progress and gaining as much experience as I can. I could not thank enough Sodi for taking me on board and the entire CPB Sport Team for everything they’ve done for me in my career. 60 Mini: Unfortunately, Jamaïca’s Alex Powell (Energy Corse-TM-Vega), who pulled off a stellar performance at Lonato by dominating the 60 Mini category, was not available for comments ahead of this weekend. 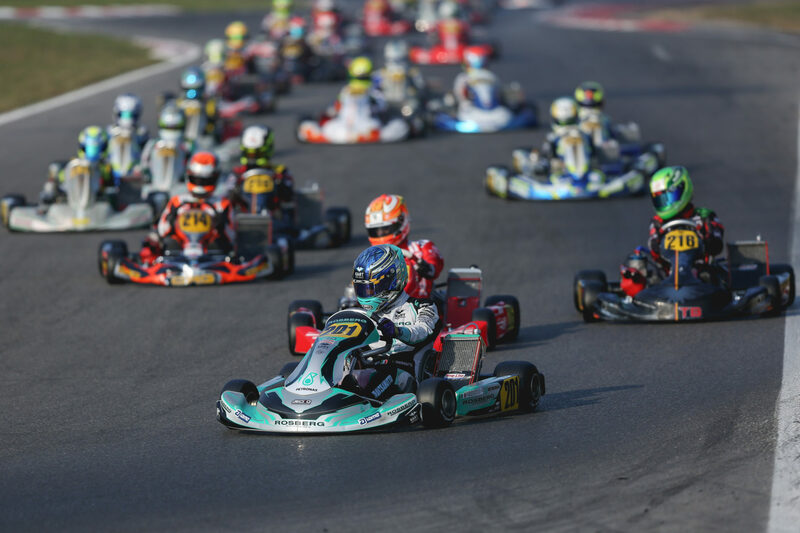 Click here to read our report from the first round of the 2018 WSK Final Cup at Lonato. The second chapter will take place on the 7 Laghi Circuit of Castelletto Di Branduzzo from Thursday, Nov. 08th, to Sunday, Nov. 11th.